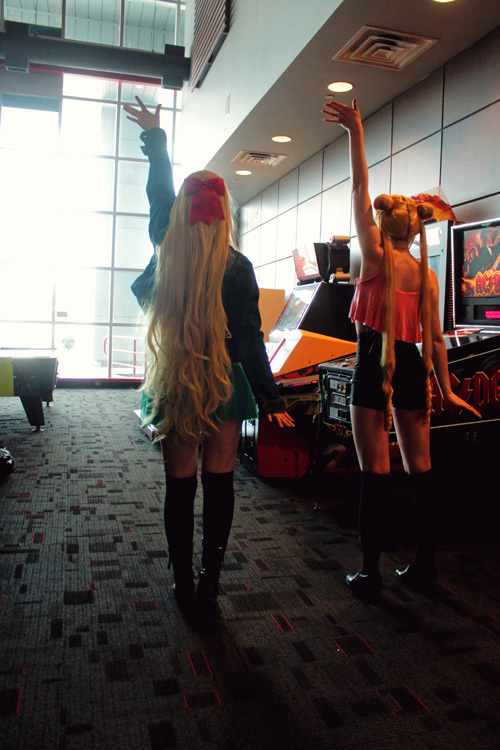 Shelle: "Sailor moon was almost every little girls� obsession, I always related to Serena/Usagi because I�m a pretty big goofball and clutz. Evie E had the idea to do this casual shoot, so we planned it one day when she was visiting. She actually did the photography as well with the help of a tripod, which I thought was really cool. 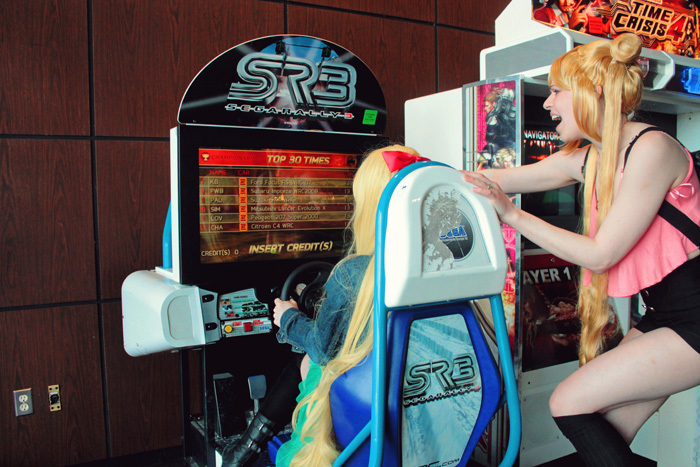 I had a lot of fun with this shoot, especially since we got to do it in an arcade. I thought it suited their characters very well." 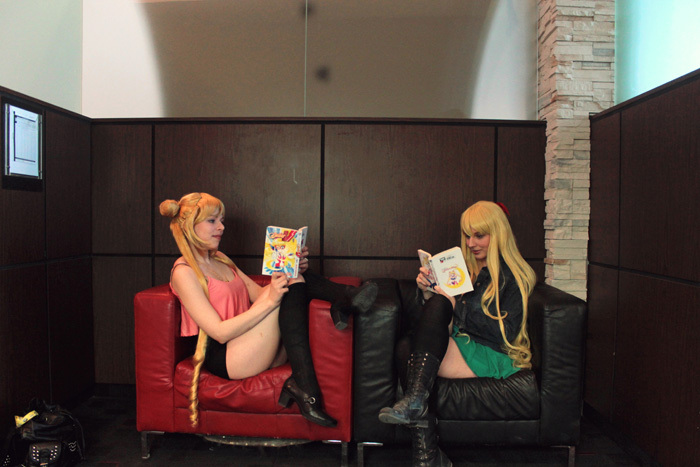 Evie E: "Since I was little I loved Sailor Moon, and besides Usagi, Minoko (Sailor Venus) was my favourite scout. 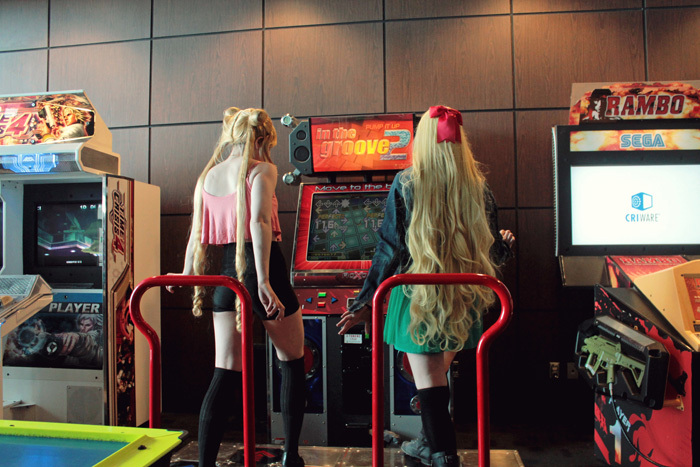 I loved her so much and I still do, she can be focused and strong but she�s still a teenage girl, I love how her and Usagi�s friendship grow over their shared interests, like video games. 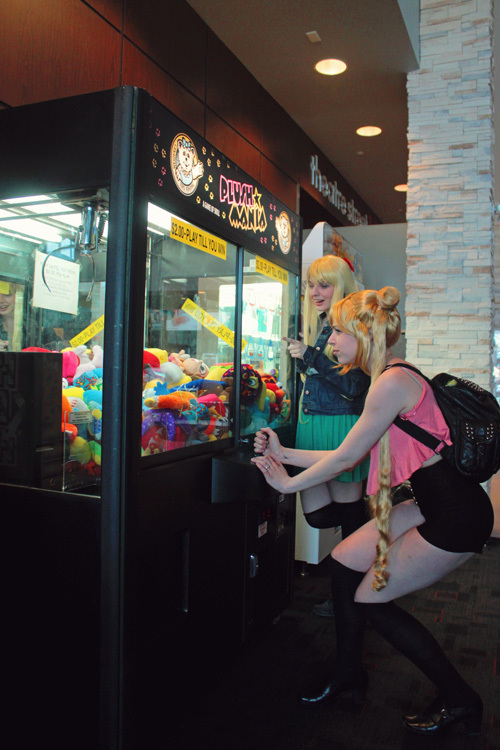 It was super great luck that Shelle-chii and I got to shoot in the arcade section of a local theatre, I was the �photographer� having to set everything up with the aid of a tri-pod and then run in to the frame for the picture. I think the photos came out pretty good with that in mind."